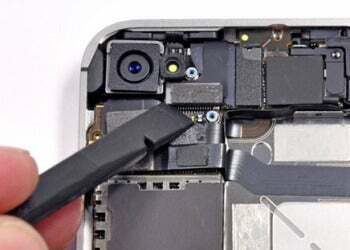 Apple's decision to withdraw products from the EPEAT standard it helped implement has raised concerns among industry observers and environmentalists, who said the design of the company's new products, including the Retina display, make laptops difficult to disassemble and recycle. Apple has removed all of its Mac products from the EPEAT registry, including products that were previously EPEAT Gold, a rating given to the most environmentally friendly computers. Some observers said that Apple's unwillingness to work with industry partners to define environmental friendly standards is being shown through new products like the MacBook Pro, a highly integrated laptop that is considered difficult to disassemble and recycle. However, some argued that the EPEAT process is drawn out and frustrating so Apple decided to cut its losses by disengaging from the certification system. The U.S. government and some other organizations require EPEAT certification for the computers they purchase, but those sales are minor for Apple, so the decision to withdraw from EPEAT is not likely to affect the company's sales in any significant way. The EPEAT (Electronic Product Environmental Assessment Tool) rating allows computers to be measured based on their environmental impact. EPEAT takes into account the toxic elements, material selection, product longevity, energy efficiency through the Energy Star rating, the ability to deconstruct and recycle and the computer makers' performance on environmental impact. Apple in the past has held EPEAT in high regard, using the rating to call its laptops "the world's greenest family of notebooks." Apple told EPEAT that it is going in a different direction on products, which is why the company doesn't want to be a part of the standard any longer, said Sarah O'Brien, a spokeswoman for EPEAT. It is unclear why Apple left, but it could be because of design or structural reasons, she said, adding that EPEAT is a voluntary system and companies can join or leave at any time. Apple is open to the idea of coming back, O'Brien said. "We hope Apple will come back at some time," O'Brien said. "Apple is an immensely powerful, immensely smart group." EPEAT has 49 members worldwide, including IBM, Hewlett-Packard, Dell and Lenovo. Apple has made it difficult for recyclers to disassemble its latest MacBook Pro with Retina display, which was announced in June. In a teardown, iFixit CEO Kyle Wiens called the laptop the "least repairable" to date. IFixit said that the LCD, which is attached, and the battery, which is glued to the case, made the laptop hard to disassemble and recycle. "The design may well be comprised of 'highly recyclable aluminum and glass' -- but my friends in the electronics recycling industry tell me they have no way of recycling aluminum that has glass glued to it like Apple did with both this machine and the recent iPad. The design pattern has serious consequences not only for consumers and the environment, but also for the tech industry as a whole," Wiens wrote in a blog entry. The new MacBook Pro with Retina display does not meet a criteria on disassembly as stated in the EPEAT standard, and the design makes the casing and battery tough to recycle, said Barbara Kyle, national coordinator of the Electronics Takeback Coalition in San Francisco. The nonprofit organization promotes sustainable design in electronics. Recyclers usually take out parts and separate the metal enclosure, which is then passed through a shredder. With components closely attached to the chassis, Apple has been making its laptops tougher to disassemble and recycle, which has created a conundrum for recyclers, Kyle said. The screen and battery have toxic materials and need to be able to easily separated, she said. "This has been a direction they have been leaning in for a while. It's not a first," Kyle said. Apple has been a leader in environmental programs and was among the first computer companies to phase out the use of harmful chemicals like brominated fire retardants (BFRs) and polyvinyl chloride (PVC), said Casey Harrell, an IT analyst at Greenpeace International, which is part of the EPEAT standards process. EPEAT can be a messy and frustrating affair with many stakeholders involved in the decision-making process, but the MacBook Pro design is less about EPEAT and more about Apple's efforts to gain more control over its products from the production to the end-of-life process, Harrell said. "This is an issue where Apple chose their design attributes over environment," Harrell said. Apple runs its own recycling program through its website. Environmental organizations Greenpeace, Electronics Takeback Coalition and Basel Action Network also criticized the EPEAT decision-making process as being time-consuming and difficult, and also said top stakeholders out-muscled many of their requests. However, the organizations said that while EPEAT may not be perfect, it provided basic guidelines to build environmentally responsible PCs. Apple's business now revolves around tablets and smartphones, with products like the iPad and iPhone generating a large chunk of revenue. EPEAT covers only computers and not smartphones and tablets, so Apple perhaps is taking a practical approach and made a financial decision to cut EPEAT, observers said. And like the environmental organizations, Apple was perhaps frustrated with the EPEAT process. Apple's dropping EPEAT will hurt its business with the U.S. government, which requires 95 percent of its PC purchases to be EPEAT registered. There was also immediate fallout as word of Apple's decision spread, with San Francisco telling The Wall Street Journal on Tuesday that the city's 50 agencies would not purchase Apple's Mac products that were no longer EPEAT certified. Apple has a larger business with consumers and educational organizations and makes money in iPhones and iPad, so dropping EPEAT could cut component costs and provide a path for the company to move forward with homegrown device designs, said Roger Kay, principal analyst at Endpoint Technologies Associates. Apple likely realized it was going to lose U.S. government business, but that's perhaps a gamble the company was willing to take. "It's a business decision that Apple made and they've certainly done the math," Kay said. Apple could take a public-relations hit by dropping EPEAT, but the company is also a trendsetter, Kay said. Apple would rather be a maverick and buck the trend than being conventional and sticking to standards, Kay said. "Maybe the standard needs revision," Kay said, adding that it remains to be seen if Apple will help set a new standard. EPEAT was last updated in 2009 and is due for an upgrade later this year. Apple did not respond to requests for comment. Representatives from Hewlett-Packard, Lenovo and Dell said they will continue to back EPEAT. But John Samborski, the CEO of Ace Computers, which backs EPEAT, said the standard is up to date, and is gaining popularity among government organizations and select educational organizations. "I think the reason Apple is dropping it is that they don't need it for their customer base and their unique nature of their products. It also constrains their supplier to use only certified components and this might be more expensive," Samborski said.